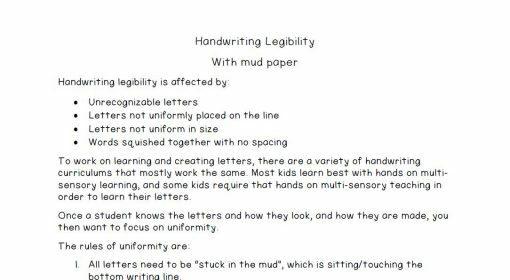 This is a simple handout to give to teachers and parents about the basic parts of writing legibility and how to work on legibility. It emphasizes uniformity of the the letters, writing on the line, and fixing errors. 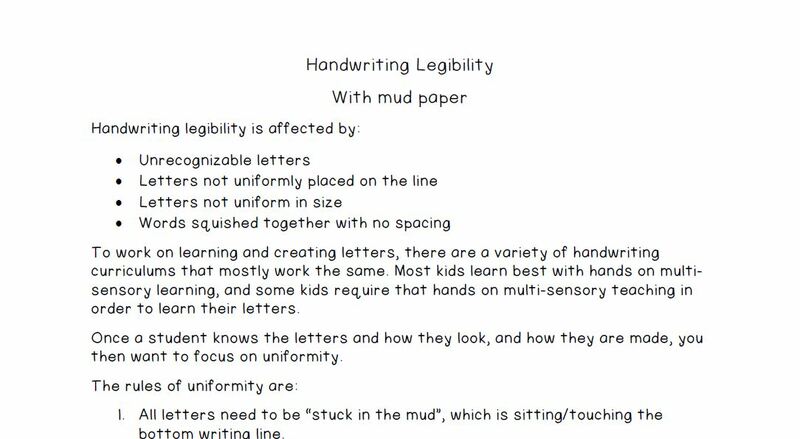 I will give this to teachers along with copies or the digital file of adapted paper to use.